@mtauseefsa if you get your dvd navigation system code please tell me the pass code i have also the same problem can you solve my problem its been a pleasure for me. can anyone suggest good long term service stations for Honda Vezel 2014 in Islamabad/ Rawalpindi? I am living in Bahria Town and office is in F-7 Markaz. 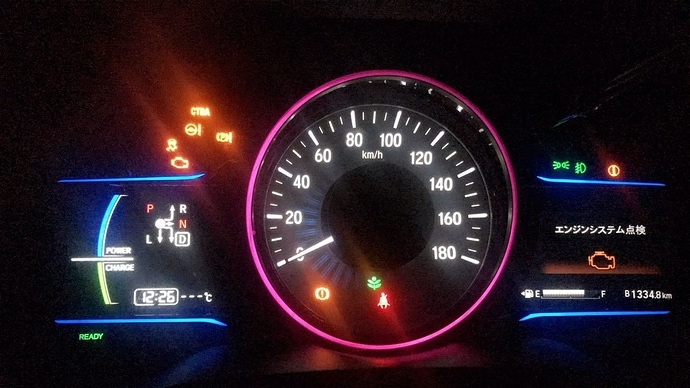 Can i change language (from Japanese to English) of Navigation System of my Vezel 2014 Z Package? If not, is there any good brand available in the market to replace with original? Please add my # to Vezel WhatsApp group. No you cannot change the language, neither you can run Pakistan maps so if you want to use Navigation you will need to replace the head unit, PM me your contact and I can arrange for you. Do let the Group know your recommendation on the head unit. Salam ... i am also facing the same problem ... slight clunking noise when car accelerates slowly .... more pronounced when engine kicks in at low RPMs ... did u find any cure or reason for it ? ... mine is 2013 X imported in 2017... this sound disappears at high spds ... and no sound with car at stop and engine running .. This is certainly not the kind of sound one would pass over.In my opinion requires to be looked into.If you have read the past posts on Vezel you may have read that there have been some issues with regard to 2013/14 models.I sincerely hope that its nothing and will not cause you any serious problem down the road.Is it a continious noise or just when the car shifts from engine to hybrid power and vice versa. Can someone tell me why my recently imported Honda vezel hybrid is giving just 8.5km per litre fuel average? Fuel consumption is highly dependent on driving style, use of air-conditioning, Air Filter condition and most importantly tire air pressure. Clean air fiter, fill tires with company recommended air pressure and drive normally and hopefully it will improve. Depends on how you drive. Normally it does between 15 - 23 kmpl. I've been constantly getting 19- 22. And i've driven it 40k kms.